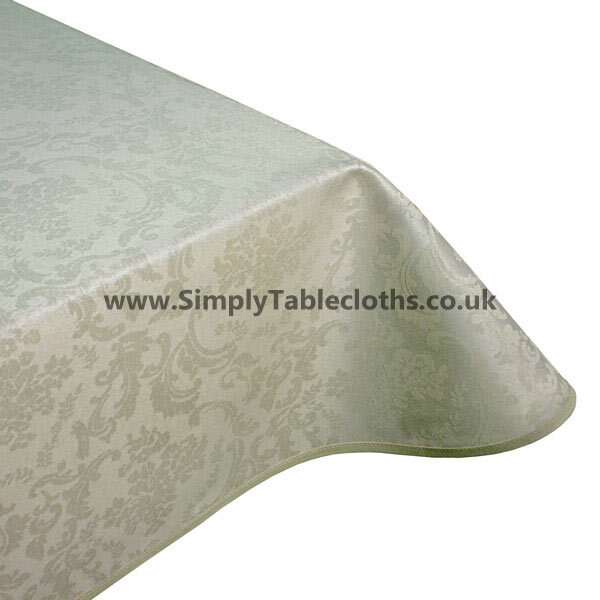 Elegance at its finest is the best way to describe this beige damask tablecloth. 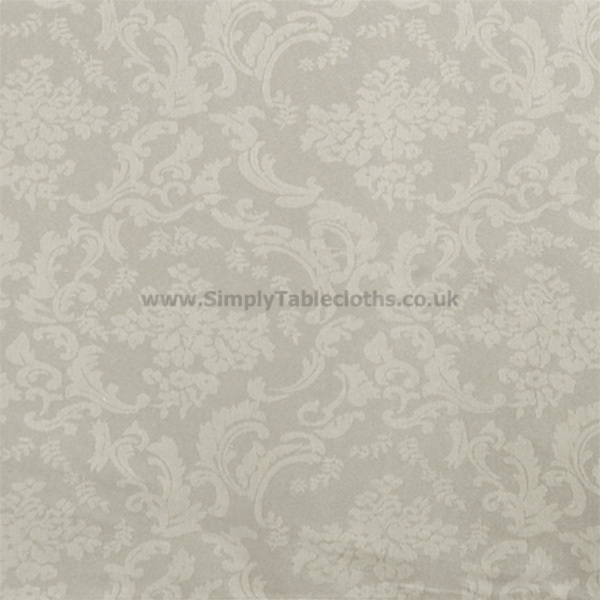 The subtle tone-on-tone swirling floral design exudes sophistication and is the perfect choice for a formal dining setting. 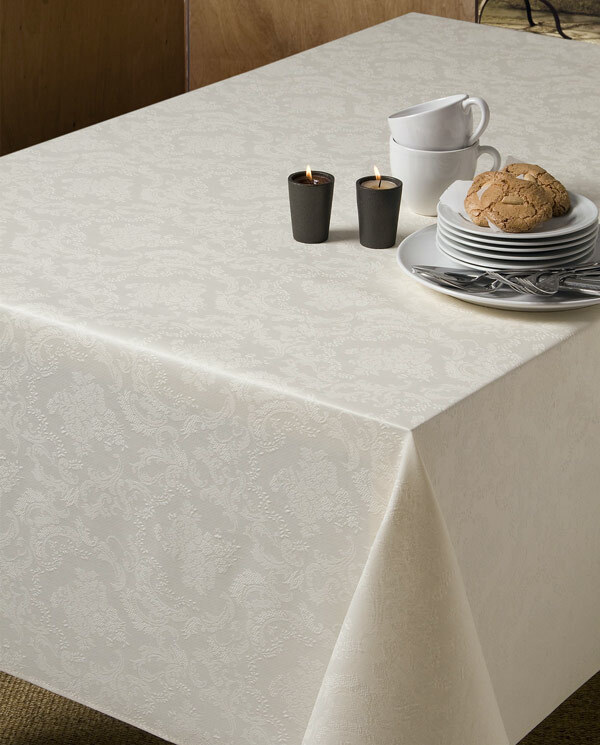 Topped with a Teflon coating, this tablecloth has excellent durability as well as a wipe clean surface.